After a pause of several years, fans of classic computers worldwide can look forward to a series of Commodore PCs. The company “individual Computers GmbH”, based in Germany and well-known in the Retro-Computing community, has licensed the rights of the Commodore trademarks from Polabe Holding N.V. 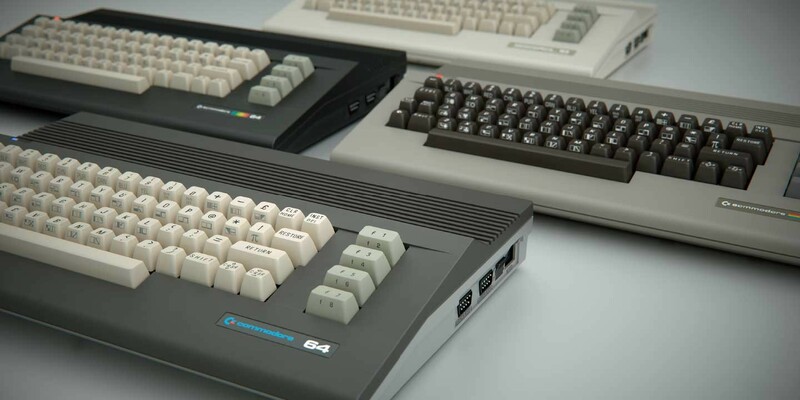 The first newly branded Commodore products are span-new cases for the C64 computer, using the original injection molds back from the days Commodore Business Machines produced the C64c. Thanks to these new cases a C64 computer can finally be refurbished after all these years. Distribution of these cases is exclusively done via the online shop of the Return-Magazine. With these new c64-Cases, the highest quality standards had to be guaranteed, in line with the high expectations of the name Commodore. Back in May 2015, the new main board C64 Reloaded (C64R) was released by hardware designer Jens Schönfeld and this with a huge success. This main board fits in any C64-case and is fully compatible with the original C64 computer. Two new versions of this main board are now being prepared for production. Technical details will be published shortly. The Commodore 64 is considered as the best-selling home computer ever. Approximately up to 30 million units have been sold since its introduction in 1982. Despite its top-notch technical configuration at the time, the computer was received as very affordable. This was the basis of its worldwide success in private households. Based on this huge success in the past, sales of the C64R main board had to be limited because of the enormous demand. The two new Commodore main boards will now finally supplement the demand in the coming months. Entrepreneur Jens Schönfeld has been devoted to classic computers since he was a teenager. He has always been a fan of Commodore hardware. Schönfeld has studied computer engineering at RWTH Aachen, Germany. Since 1994, he has been developing circuit boards and accessories for 8- and 16-bit computers, especially for the C64 and Amiga. In addition to own products, iComp GmbH also offers design services for embedded hardware, telecommunication and safety engineering. Polabe Holding NV is the owner of the Commodore Trademarks, a globally recognized consumer electronics brand. Polabe Holding NV purchased the Commodore Trademarks from C=Holdings BV in 2014. Polabe NV is situated in Luxemburg. So this is just the enclosure? So it’s a build-your-own Commodore? Yeah, it’s been a while. How you been? Good, thanks, and yourself? 🙂 Any plans to start blogging again? I remember you mentioned something about that months ago. I am doing good. Working and trying to get to the things I want to do when I hanger the time. Glad to hear it. 🙂 Still working at the daycare center? Yep. Been here for ten months already. Nice! That was nice to hear. Have you taken more pictures of abandoned furniture by the way? Remember the photos you took of stuff out in the desert. And has that bookstore that closed down opened up again? So many questions.. hehe..
Been wanting to get back to the desert picture thing. There is so much I see from dropping off passengers. Bookstore is still closed unfortunately. Sad to hear about the store. Fewer and fewer individual shops around, at least its like that over here. Mostly the big ones represented on every street. Cool, would love to see more absurd photos from the desert. 😀 It’s amazing what people dump. Commodore is bringing class back… for sure! Hi there and thanks for commenting! I agree! 😀 Commodore rocks! I also like this retro style and commodore is bringing the old classic style back. Hi! Thanks for commenting. 🙂 Glad you like it too! Now we’ll see what they have in store for us.